I love having a nice salad by itself once in a while. There is something refreshing about that kind of meal and I never feel guilty when I indulge. 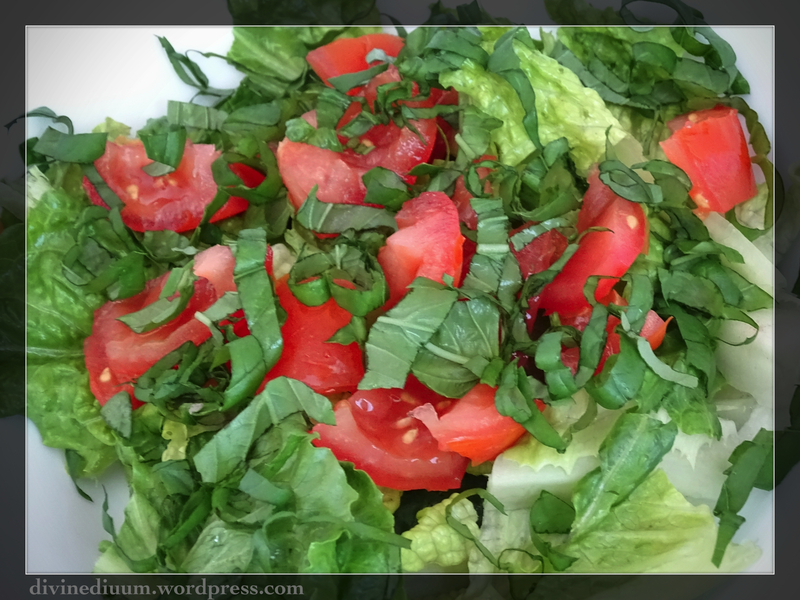 Fresh produce and fresh herbs “make” a salad in my opinion. Sometimes my body craves a nice green salad. Romaine is my lettuce of choice because it is so versatile. 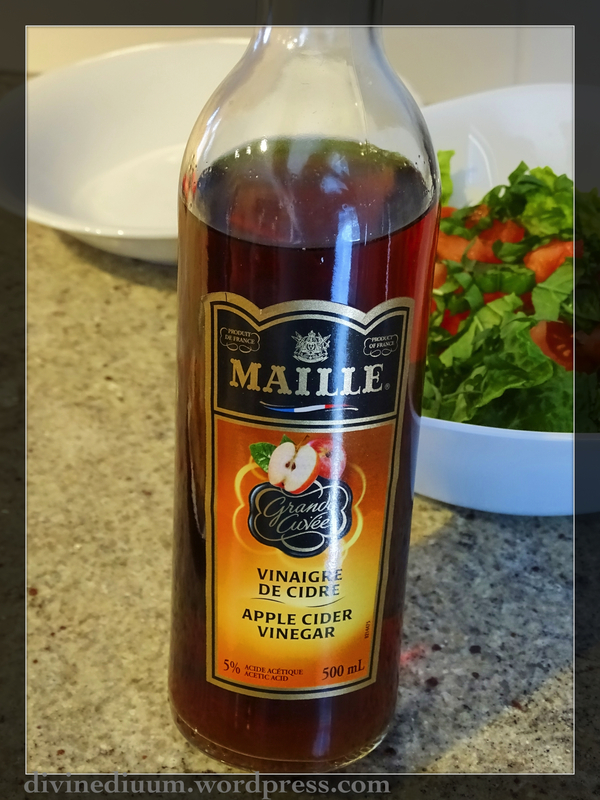 For this recipe I decided to shake up my usual balsamic vinaigrette and trade it in for an apple cider vinegar instead because of its many health benefits. Plus, the fruity undertones work nicely with the saltiness of halloumi cheese. Halloumi cheese is traditionally made of sheep’s milk so it is nice for those who are sensitive to cow’s milk. It is popular in Cyprus and has a slightly salty taste. In my house we call it squeaky cheese because of the sound it makes when you bite into it. It is often served alone and can be flambéed as an appetizer. Regardless of how it is prepared, it needs some acidity to cut the saltiness so serving it with a lemon wedge, or in this case, on a salad with a vinaigrette, is a nice option. 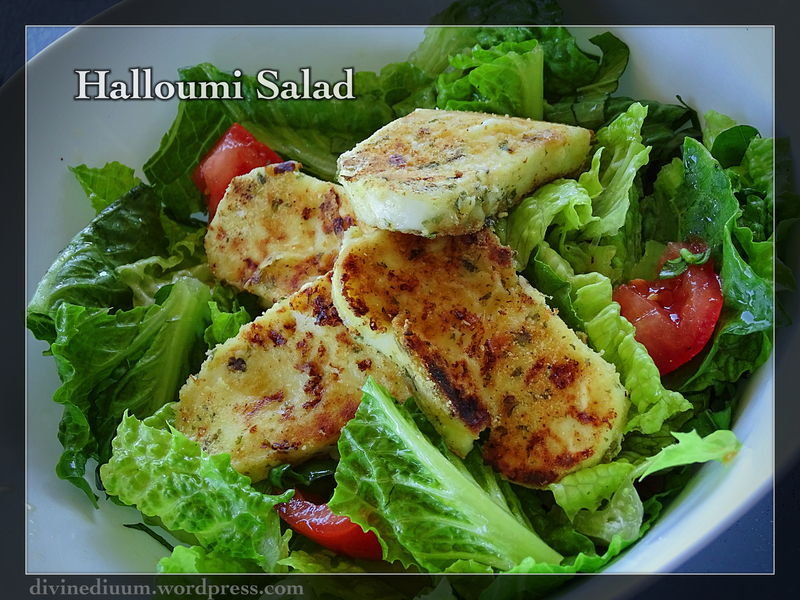 Halloumi can be found in specialty stores, especially Mediterranean. It is becoming more common place now and can even be found in local grocery stores depending on where you are. One block can make approximately 8, 1/2 inch slices. This cheese needs to be fried right before serving as it looses its gooeyness quickly. If this does happen, you can pop it in the microwave for 30 seconds. Start by preparing a nice coating for the cheese. I like garlic, pepper and parsley mixed in with my flour. 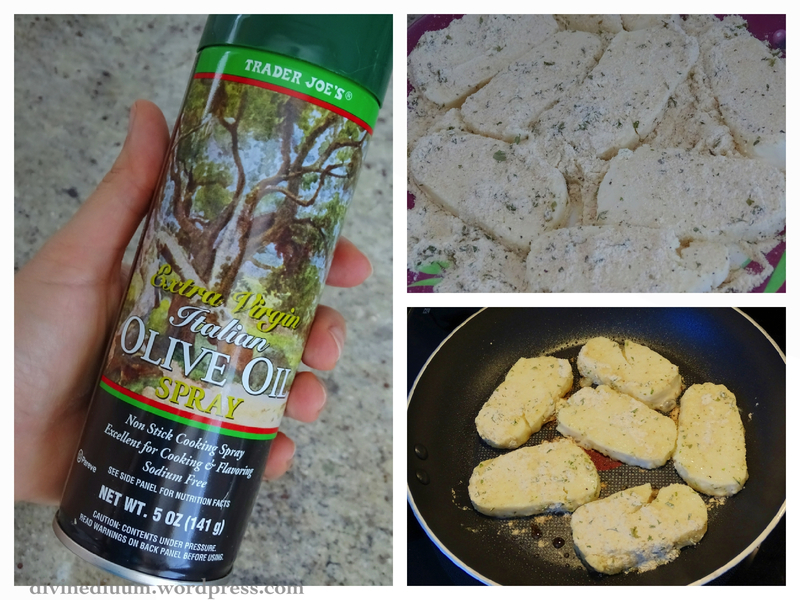 Regular oil or spray can be used to fry the cheese. The trick is to make sure your pan is hot. Once you have coated your cheese slices, fry each side for about a minute or until browned. The only thing left to do is toss your salad and serve the cheese on top. The dressing can be anything that has some acidity to it. I do an oil and apple cider vinegar dressing with a pinch of salt and I elevate the salad with some fresh basil. Chives also make a nice addition. 2. Heat a bit of oil (or spray in a pan) until hot. 3. Coat the sliced halloumi pieces in the flour mixture. 4. Fry until each side is browned. 5. Mix the dressing and set aside. 6. Wash and cut the vegetables. 7. Toss the vegetables with desired amount of dressing. 8. 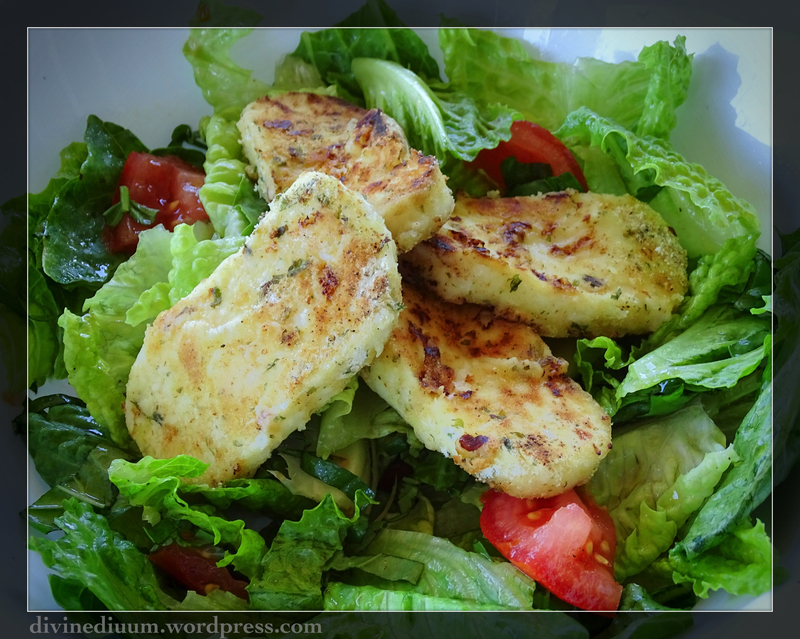 Top the salad with halloumi pieces.